Yellow salsify, a plant I always called goat's beard, Tragopogon dubius, is coming up as a weed all over my garden. 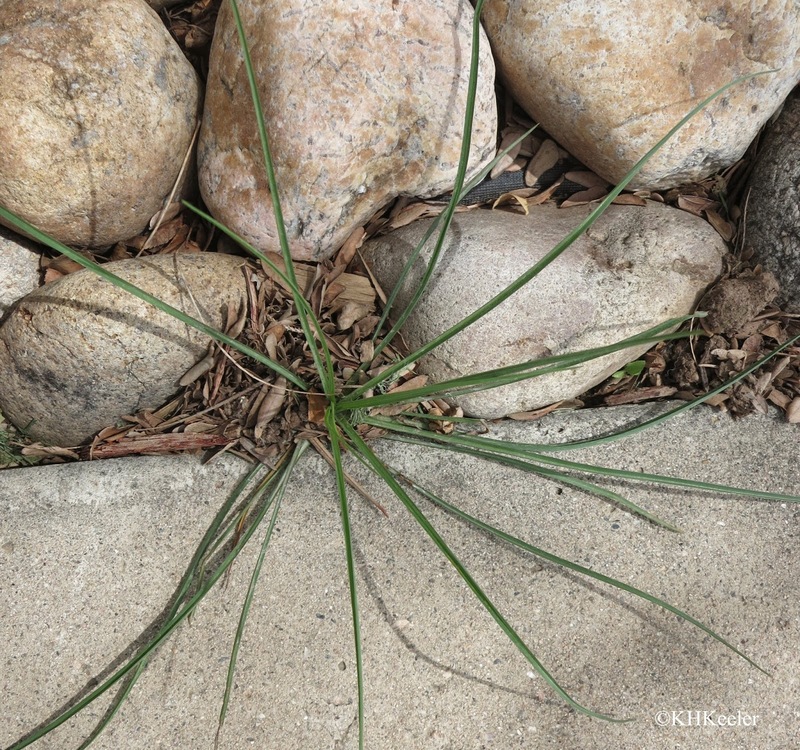 Right now it looks like the picture below, a spidery little plant. I recently wrote about Taiwan and Singapore as places to enjoy Chinese New Year celebrations. That made me think of places closer to home with rich Asian traditions--in particular, San Francisco. I lived in San Francisco for part of a year and across the Bay in Berkeley and Oakland for five. I have visited frequently since. I'm not particularly fond of cities, but I'm fond of San Francisco. Taiwan is an island off the coast of Asia, shaped, they say, like a sweet potato. (map). The Tropic of Capricorn runs through it about 2/3 of the way south, so the northern part of Taiwan is subtropical and the south in the tropics. A chain of mountains fills the center of Taiwan, high enough and rugged enough that they are quite wild. On the east (Pacific) side of the island, just north of the middle of Taiwan, Taroko Gorge brings water from the mountains down to the ocean. It is spectacular. I was back in Taiwan in March 2015 on a tour with China Span led by photographer Keren Su. We drove across Taiwan at Toroko Gorge. The pasqueflowers are open! The native plants agree that it is spring. When I tell people pasqueflower is the first wildflower of spring, they look at me doubtfully because crocuses and daffoldils are in full bloom. But across most of its range, there are no native herbs that flower earlier in the spring than pasqueflower. Pasqueflower is an anemone, Anemone patens. The name refers to its blooming time, from the Old French for Easter. In some places it is called May Day flower--same idea!